Having been incorrectly reported by many media as having tested positive for EPO, the Finnish rider Matti Helminen has been confirmed as failing a test for a completely different substance, and has appealed to the Court of Arbitration for Sport. According to the Belgian Cycling Federation KBWB, Probenecid was detected in the sample provided by the the Landbouwkrediet-Euphony rider. The test was carried out last May in the Tour of Luxembourg. Helminen has denied doping and said he will fight the two year ban which has been handed down to him by the KBWB. While he is from Finland, his licence is taken out in Belgium, the country where he lives. Probenecid is used to treat kidney ailments such as gout, and was famously involved in the 1988 doping control affair of Pedro Delgado. The Spaniard was leading the Tour de France at the time and many expected that he would be ejected from the race. 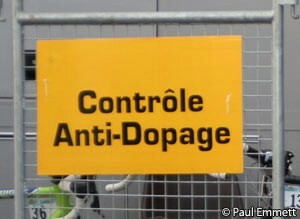 However he went unsanctioned, as while the product was on the International Olympic Committee’s banned list, it had not yet been added to the prohibited list used by the UCI. Delgado went on to win the Tour. Probenecid is considered a potential masking agent for banned substances. The Court of Arbitration for Sport has confirmed to VeloNation that Helminen’s appeal has arrived. No date has been set as yet for the hearing. The 37 year old is also battling to save the Finnish national time trial title he took in June.